A New Approach for Customer Relationship Programs - Infosys Consulting - One hub. Many perspectives. 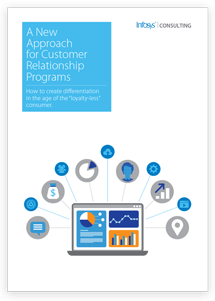 How to create differentiation in the age of the “loyalty-less” consumer.